A thread on 4chan's trollish /pol/ board has organized trumpist white-supremacist/alt-right types to find unlicensed venues and spaces and narc them out to city authorities in a bid to shut them down, because they serve as "open hotbeds of liberal radicalism and degeneracy...These places hold Black Lives Matter meetings. These places plan protests that disrupt our cities. These places illegally house our enemies." 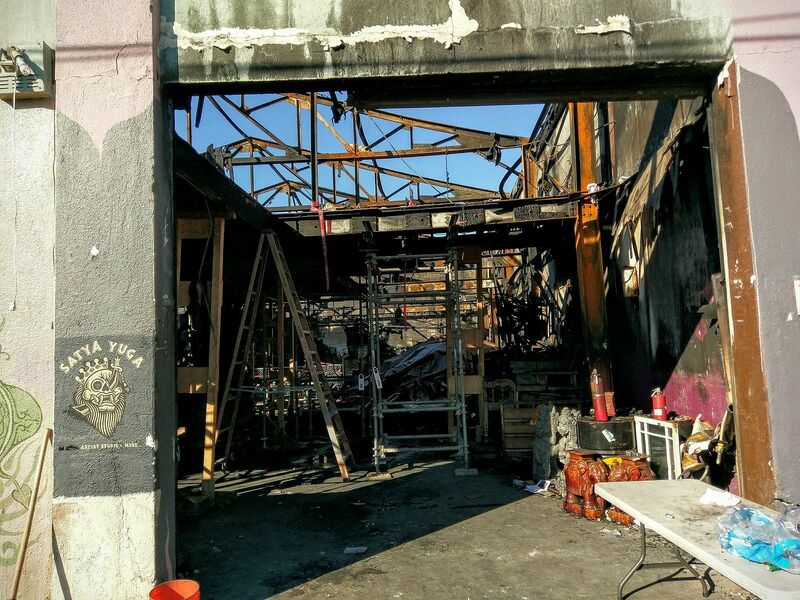 The campaign is exploiting the Oakland Ghost Ship fire, which has given many cities the political appetite to shut down unlicensed spaces. The campaign incorporates a lot of neo-Nazi in-jokes (they call themselves the Right Wing Safety Squad, or "SS" for short), and ties itself to trumpism, coopting "Make America Great Again" as "Make America Safe Again." The group takes credit for the closure of seven spaces in the US so far, including Baltimore's Bell Foundry, Denver's Rhinoceropolis, and Nashville's Glass Menage. It's not clear what role, if any, they played in this closure. The Ghost Ship fire was the result of many overlapping failures, but primary among them is the soaring rents in American cities, which have made it harder than ever for marginal communities and artists to scrape by. The closure of dance venues and art co-ops doesn't end dance and art -- but it does push it into progressively less safe, more off-the-books sites. "MAGA," the "Make America Great Again" tagline, had been reframed with MASA—Make America Safe Again—and the newly dubbed "Right Wing Safety Squad" or the "SS" (named with a nod at Hitler's "SS" paramilitary), were congratulating themselves on their progress in shutting down warehouse spaces around the country. "These are the places where a lot of the protests over the last couple months have recruited from, originated from, and that have housed people from out of town to participate in," one poster commented. "it is anticipated that on inauguration day there will be protests, these will be the places sowing drug fueled chaos. This must be quelled. To that end here is a list of addresses of DC "spaces" they need to be sorted through and shitholes discovered. DO NOT REPORT ON RESPONSIBLE BUSINESSES, research the list. report shitholes. MASA [sic]."